For the past few weeks, Hellmann’s has been helping parents with common dinner dilemmas, from meeting budgets to preparing meals in minutes to serving picky eaters. We’ve already shared our previous challenges of cooking for picky eaters and preparing a time saving meal. 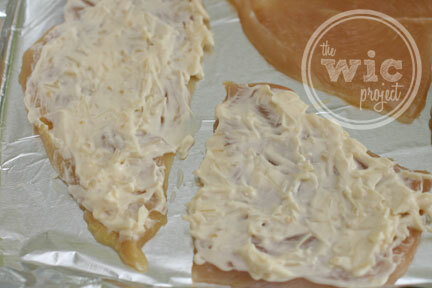 This week we’re cooking up a twist on a classic recipe as part of our Hellmann’s® “Chicken Change-Up” Challenge. We all have our favorite dishes, but sometimes you may crave a bit of variety – something that’s familiar but also a little bit different. To meet this challenge, we decided to cooke up the Caesar-Crusted Chicken. For this meal, we followed Hellmann’s recipe for Caesar-Crusted Chicken. All of Hellmann’s Chicken Change-up recipes have been easy to follow and prepare, and the Caesar-Crusted Chicken was no different. It took just a few minutes of prep time to get the chicken in the oven. The first step is to mix together the mayonnaise mixture which will be used to coat the chicken. The recipe calls for Mayonnaise, cheese, mustard, lemon juice and garlic. I skipped the mustard but used everything else. Next, you coat the chicken with the mixture. Then sprinkle with crouton crumbs. You can crush the croutons however you wish, however I find that putting the croutons in a plastic baggie and then rolling with a rolling pin works pretty well. (Although sometimes small holes do form in the bag from the sharp crouton edges, so be careful when lifting.) That’s it! Just two steps and then put the chicken in the oven and bake for 20 minutes. 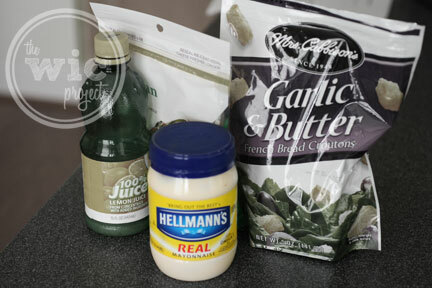 Participating in the Hellmann’s “Chicken Change Up” Challenge has introduced me to new ways to use Hellmann’s to prepare tasty and juicy chicken dinners. Whether short on time or trying to find a meal for that picky eater, all of their recipes have been hands down winners. As we near the end of the Hellmann’s Chicken Change up, make sure you head over to the Hellmann’s Facebook page for more recipes and tips to help you with your dinner-time challenges. Make sure you enter their sweepstakes for your chance to win a $5,000 grocery gift card as well as a daily giveaway! Note: This giveaway is open to US and Canada residents only. I would love to try the Fresh Mint Mouthwash. strawberry cream kids toothpaste for my little ones. I’d try the double action tongue cleaner. I would try the Dr. Sharp Green Tea Whitening Toothpaste ~ I am a big believer in the properties of green tea! Strawberry Cream Kids Toothpaste, 3.5 oz – my son can’t use cinnamon or mint flavored tooth paste. I want to try the Dr Sharp Fresh Mint Mouthwash! WOULD LIKE TO TRY THE GREEN TEA TOOTHPASTE. The Fresh Mint Whitening Toothpaste sounds like what I need. Thanks for the giveaway! strawberry cream kids toothpaste, awesome!! I’d like to try the Dr. Sharp Green Tea Whitening Toothpaste. i would like to try out Strawberry Cream Kids Toothpaste!the kids would love it! Would like to try the mint whitening toothpaste. I’d like to try the Green Tea Whitening Toothpaste. Thanks. I would like to try the strawberry cream kids toothpaste! I would like to try Green Tea Whitening toothpaste. The green tea whitening toothpaste. You’ve got me sold on the Caesar-crusted chicken from your description of it. I’d try the Parm-crusted chicken–sounds easy and good! I’d like to try the Caesar-crusted chicken. I think my kiddos would love to try the Strawberry Cream Kids Toothpaste. The chicken cordon bleu sounds good!! I would like to try the turkey tetrazaini but with real butter and without the peas. Succulent Chicken Parmesan sounds yummy!! I’d love to try the Chicken Cordon Bleu. I would like to try the Parmesan-Crusted Bruschetta Chicken..yumm!! I think the Skillet Turkey Tetrazinni would be delicious. Spinach & Almond Chicken recipe! Parmesan crusted would be yummy! the chipotle lime crusted chicken! I’d love to try the Parmesan Crusted Chicken. We have trtied the Parmesan crusted and the Barbecue cheddar. Next I want to try the Chicken Cordon Bleu. I want to try the Cajun Chicken Breast! The BBQ-Cheddar Crusted Chicken sounds good! 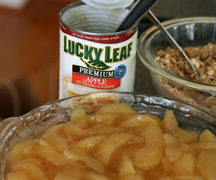 I made this recipe and it was so delicious! My whole family loved it! I want to try the CRANBERRY-ORANGE-STUFFING-CRUSTED CHICKEN recipe. Caesar-Crusted Chicken is the one I would like to try. The Cajun Chicken Breasts sound amazing! I would like to make the Lug Nut Coffee Cakes. The Parmesan Crusted Chicken sounds right up my alley! The Cajun Chicken Breasts sounds great. I would like to try CRANBERRY-ORANGE-STUFFING-CRUSTED CHICKEN. Although all of the recipes sound quite good and I love Hellmans. The creamy baked turkey sounds really good. I always have left over turkey. I like the Bruschetta Chciken Recipe. I think the Spinach Almond sounds tasty! I’d like to try the Turkey Turnovers! I think the turkey turnovers look good. Plus, you don’t need a fork! Ok now I’m hungry and have some ideas for dinner. I want to try the turkey turnovers – yum! I like the honey mustard fingers. The parmesan crusted bruschetta chicken looks great! I would love to try the Savory Turkey Loaf the most. Mustard chicken fingers for sure! Thanks! The cajun chicken breasts sound good. They all sound good but I would choose the Turkey Turnovers first. The Honey Mustard Chicken Fingers sound delish! I’d love to try them. I want to try the Caeser-crusted chicken. The Parmesan-Crusted Bruschetta Chicken looks delicious! Bacon Caesar potatoe salad sounds delicious! I’d like to try Chipotle-Lime-Crusted Chicken. bacon caesar salad sounds fab! I want to try the turkey casserole. I’d like to try the Mouthwatering Baked Buffalo Chicken. I would like to try BBQ Cheddar Crusted Chicken!! I want to try the honey mustard chicken fingers! My first choice of recipes would be the Skillet Turkey tettrazzini. But the Fan Fav Broccoli Salad is a close second. i wanna try the bacon ceaser potato salad. The Tuscan Glazed Chicken looks good. I would love to try the Bacon Cheeseburger Dip. The cesear crusted chicken sounds great. Parmesean Crusted Chicken sounds amazing! Id like to try The Savory Turkey Loaf! Bbq cheddar crusted chicken. Thanks for the giveaway. The Bacon Caesar Potato Salad sounds heavenly. They all look good but the honey mustard chicken fingers look sooo great! I would love to try the Turkey Turnovers. FAN FAVORITE BROCCOLI SALAD is my choice! Parmesan Crusted Chicken Breast is the recipe I’d like to try the most. I would like to try the Parmesean Crusted Chiken. and he deserves it. 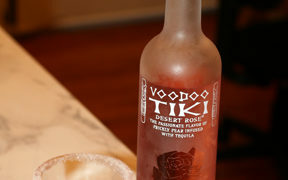 We had it when we were just newly married and it was delicious! Parmesan crusted chicken sounds good! 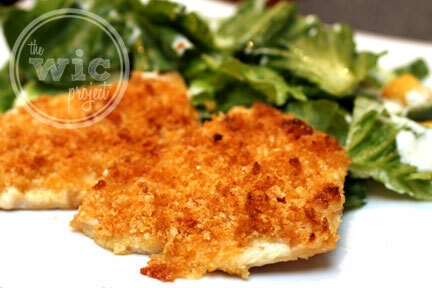 The Parmesan Crusted Chicken sounds delish! I want to try the Green Flag Spinach Artichoke Dip. I’d love to make the Turkey Turnovers. The Turkey Turnovers. They look so good and so easy to make.